I have been back at my spinning wheel again in readiness for the winter nights, a pleasure that seems to return every year when the weather changes. 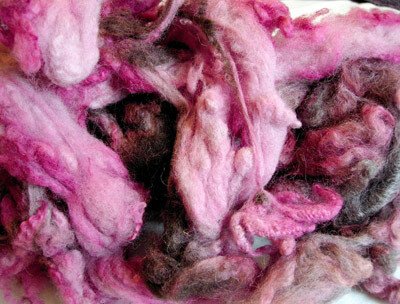 Over the last few years I have been learning to spin and to use natural dyes. The process of collecting colour from the wild, just like foraging is a lovely rewarding activity. It keeps you in contact with the seasons by collecting your own plant materials, leaves, flowers, berries or bark when the time is right. Before this summer ended, I wanted to create some new natural colours to add to my wool stash for the winter. I've totally avoided the synthetic dyes as they just seem so harsh and tend to shout so much. 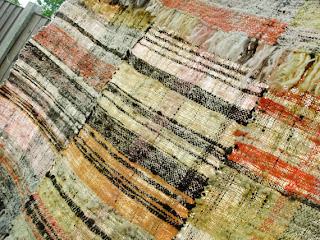 Natural colours always blend well with each other and I like having the direct link back to their natural source too. 1. 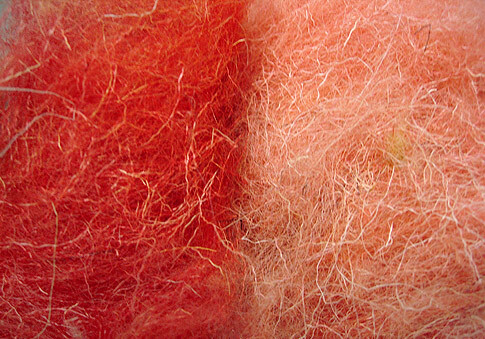 Madder root red, 2nd dye madder root makes coral. 2.Guelder rose berries - pink/yellow. 3. Cochineal beetle purple handspun. 5. Mohair dyed with buddleia leaf makes yellow. Winter seems to be the natural time when the knitting and spinning really gets going for me. With all those long evenings what else would I be doing! (apart from whittling).. 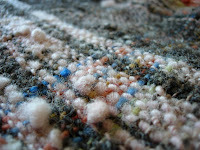 Anyway, a month or so ago I had mordanted some sheep wool with Alum at home. 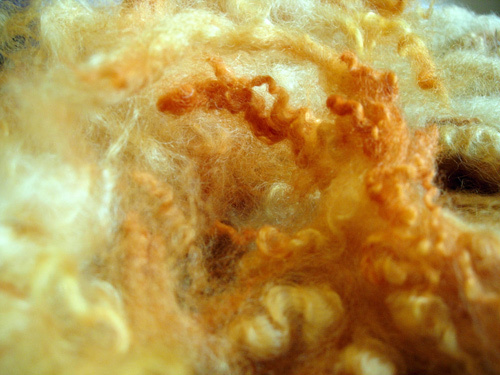 Alum and other mordants like Chrome, Iron and Oxalic Acid help to achieve stronger colour shades where the normal sheep fleece doesn't pick up the dye. I collected various plant materials that were available in the wood and had a few dying sessions with a pot over the fire. Finally after a few years of trial and error I am happy to be getting much better and consistent results. It is a time consuming processing, so this is very satisfying progress indeed! People ask me 'Where do I get my sheep fleece?' - It's £5 per fleece from most farmers, is the answer. I brought 5 sheep fleece this summer from www.sheersheep.co.uk who were demonstrating sheering at Letchworth Arts Festival. One fleece was a super coarse pure white Rams wool - a brilliant wiry contrasting wool to any of the soft lambs wool I'd also bought. It took two solid days of skirting, washing and drying those five fleece plus a few other Zwartbles (black fleece) on a sunny weekend. This has given me plenty of cheap material to work with over the winter. Only problem is storage usually, but a shed or greenhouse to store the fleece in over winter is fine. 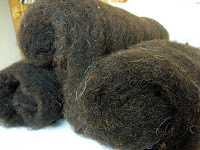 After washing and drying the wool I either mordant and/ or dye it. Then comes the nice bit where I card it on my drum carder to clean out any further bits and start selecting colours to blend together. It's like creating a palette to work with. Depending on what I want to do - either spin all one colour - or have a crazy mix of colours I create 'batts' of different colourways and textures with different types of fleece to create very different yarns. 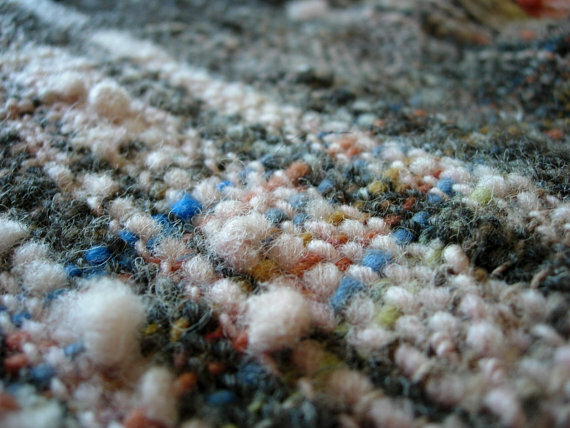 Mixing natural dyed wool with the natural sheep colours - grey, whites and blacks enables all sorts of variations to be achieved. 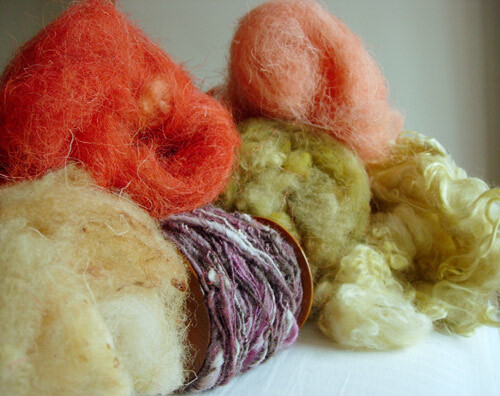 Spinning is more interesting when you see the colours and textures change through your fingers. Every piece of wool goes through my hands at least four times before it becomes a finished item - a knitted hat, a scarf, a blanket. That really does make it handmade. 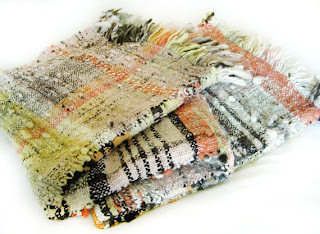 I usually make scarves from the softest Wensleydale yarns, and for most of the rest I'm putting it into handmade blankets, ponchos and shawls. It's a slow process, one blanket can take a week to make, but the whole process from sheep to shawl is a great process to know how to do and makes my final work feel like something truly special. Some coloured wools go towards my 'Weaving with Nature' workshop stash - and this is great to show people at festivals just how beautiful natural colours are. Off grid solar power. My first solar shave!